What Is Babka Cake and How to Bake It at Home? While the Polish term babka can be used as a rude way to address a grandmother, it's used in the culinary sense to refer to a slightly sweet yeast cake. The bundt's pronunciation is "BAHB-kah." Dotted with raisins, dried fruits, and citron, this rum- or brandy-soaked cake is traditionally served for Easter. Sometimes, this baked cake is poked with holes, saturated with a rum or brandy syrup, and then dusted with confectioners' sugar or drizzled with a flat icing. Babka, or baba, is typically baked in a swirled pan, resembling an old peasant woman's swirling skirt. 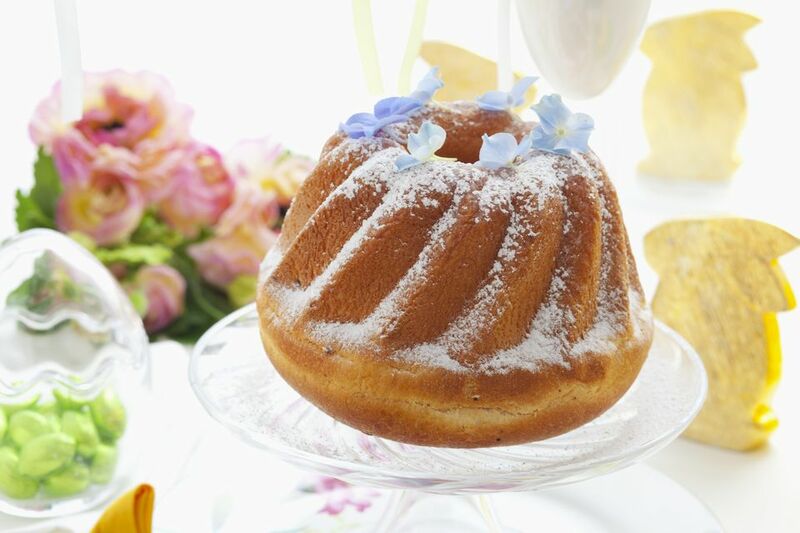 However, any round pan with a funnel or middle hole will work—like a Bundt pan, Kugelhopf cookware, or a turban mold. In fact, even a straight-sided pan that isn't fluted and has a funnel will do the job. Traditional Dishes for Polish Easter include kielbasa (white sausage), zurek (soup), chrzan (horseradish), and you guessed it—babka. A traditional Easter babka cake requires 15 egg yolks. This must-have treat for the Polish on Easter can be made with milk, all-purpose flour, dry yeast, sugar, vanilla, raisins, and more. Learn how to prepare this babka recipe in less than 20 minutes so it can cook for about an hour. There are many forms of babka you can make that offers a thick bread and cakey taste. Try variations of cinnamon, lemon-cheese, honey-butter, and chocolate to mix it up. While the debate rages on, many believe that babka was introduced into France by the court of the exiled Polish King, Stanislaus I Leszczyński, where it became known as a baba au rhum. Other sources note that Leszczyiński invented the baked bread when he soaked his stale kugelhopf in rum and named the turban-shaped dessert after the storybook hero Ali Baba. You may have seen this cake in other cultures such as Ukraine and Russia, where they have similar tall shaped desserts, including kulich. For comparison purposes, Polish babka is not unlike the popular Italian panettone served on Christmas. It's light, slightly sweet, yeasty, and studded with rum or wine-soaked dried fruits. With endless renditions, some recipes call for whole eggs while others use egg yolks, and others require three rises when others make do with one. Instead of being baked in a swirly babka pan, Jewish babka is usually baked in a loaf pan and topped with streusel. For example, a Jewish chocolate babka loaf is a delicious and rich version that can also be made with cinnamon, cheese, and almond. What are Good Polish Eater Dessert Recipes?